Can a bankruptcy trustee force the sale of the debtor’s underwater home? Incredibly, that seems to be happening in some districts. The bankruptcy trustee cuts a deal with the secured lender for a small piece of the action to come to the bankruptcy estate from a short sale. In return, the bankruptcy trustee manoevres the sale through the bankruptcy court. The lender is spared the time and expense of a foreclosure sale. And the debtor, who may have been hoping for a loan modification, or who may even have been current to the lender at filing, finds themselves homeless. Last week, a bankruptcy judge in California’s Central District reined in the trustee who sought to sell the debtor’s underwater home. In a written opinion marked for publication, Judge Scott Clarkson characterized the sum agreed to be paid to the bankruptcy estate upon sale as a “tip” to the trustee for sparing the lender from California’s consumer protection laws touching bankruptcy. As if we need to allow banks one more way to skirt the law. 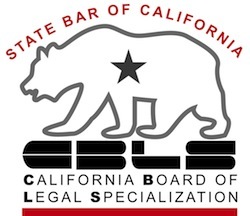 The Wilson decision nominally turns on the debtor’s claim of exemption under California Code of Civil Procedure 703.140. When the debtor got wind of the trustee’s deal with the bank, she amended her exemptions to claim a grubstake, or wildcard, exemption in the property that would have taken the “profit” out of the deal for the trustee. The trustee unsuccessfully argued that the “tip” to the bankruptcy trustee from the bank didn’t exist as of the filing of the bankruptcy case. The court turned back that argument and said, rightly, that the exemption was claimed in the underlying property, not in the gratuity to the estate. Judges only rule on the issue before them. In this case, the issue was framed in terms of a contest over the amended exemption asserted in the properties without equity. The judge was not presented with the question about the benefit to the creditors from the trustee’s attempted sale. In Wilson, two underwater properties were tagged for short sale. The carve-out for the bankruptcy estate in one instance was $15,000 and in the other, $21,250. In the absence of Ms. Wilson’s claim of exemption, the carve out would be available to the bankruptcy trustee to pay the administrative expenses of the estate and the trustee’s commission, with the balance going to creditors. We don’t know what other expenses the trustee might have that would shrink the pot available to creditors. But to my mind, this whole bankruptcy carve out from short sales stinks. It seems to disproportionately benefit the trustee and to generate very little real benefit to creditors. And of course, it benefits the realtors involved. I found it kind of creepy that the trustee’s real estate broker of choice worked for Bankruptcy Short Sale Solutions. Another entire business enterprise focused on tormenting consumers for profit! Historically, bankruptcy courts have rejected attempts by trustees to serve as liquidating agents for secured creditors. The UST handbook for Chapter 7 trustees tells trustees to only liquidate assets where there is a real benefit to creditors. I’m also bothered by the bankruptcy trustee lining up to further the interests of lenders. Maybe Judge Clarkson didn’t analyze the bad faith, but he certainly got the name right.